Denver jetCenter is located at Centennial Airport (APA), and is an award winning full service FBO, consistently ranked as one of the Nation’s Best FBOs by Professional Pilot Magazine and Aviation International News. Denver jetCenter is also home to The Perfect Landing Restaurant which is nationally recognized as a top caterer. Our outstanding safety and customer service allow us to regularly hold the majority in market share at Centennial Airport. Denver jetCenter is also a part of the AvFuel network; amenities include an on-site U.S. Customs, WSI weather, crew cars, rental cars, five conference rooms, wireless internet and a roomy pilot lounge. Centennial Airport is next door to the many major business parks which surround the airport including the Denver Tech Center, Meridian, Inverness, Dove Valley, Park Meadows and is located only 12 miles away from Downtown Denver. Free Wi-Fi, Passenger and Crew Computer Kiosk , Heated Transient Hangars, Crew Cars, On Site Car Rentals, Flight Planning and Private Crew Lounge. 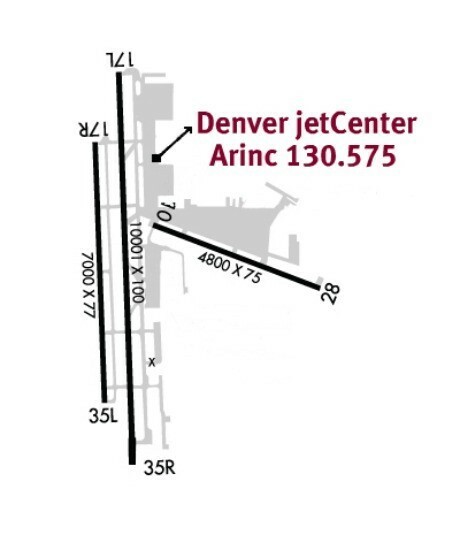 Turn right at Peoria Circle; follow the circle drive around to the entrance of the Denver jetCenter.